A goal I’ve set in reviving pencil talk is to talk more about all things local – products, retailers, and more. And for me, local now means Toronto, Ontario, Canada. One of the things I’ve been trying to do is reacquaint myself with local stationers – and I’ve noticed something I find really odd. Stationery stores are hiding themselves. Not all of them, but these two stores are situated such that walk by traffic must be near zero. They are in out of the way destinations, and hard to locate. You basically have to learn about them, then plan a trip. Perhaps some readers with retail knowledge can comment. Your insights would be appreciated. First, Wonder Pens. You may have heard of them – they have a major social media presence. 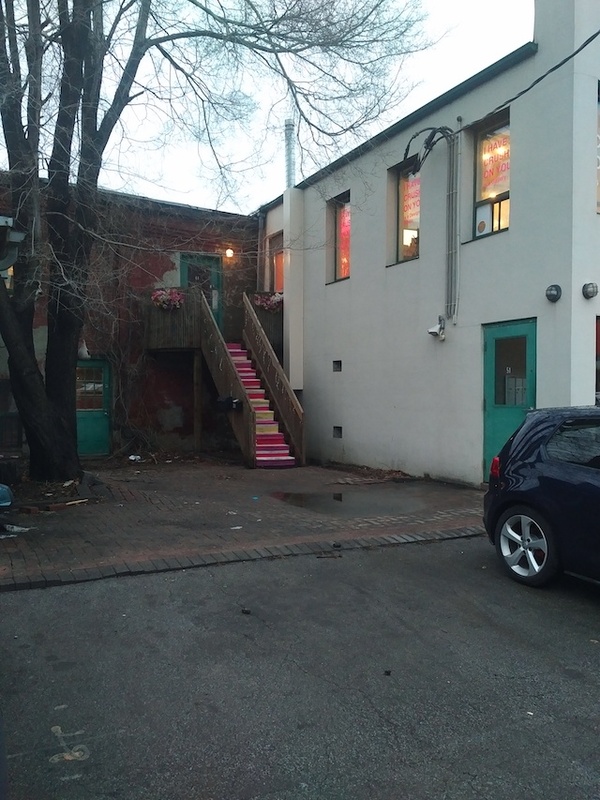 This store is on a side laneway of a warehouse building on a former industrial street that has largely been converted to offices and housing. There isn’t much retail around that I observed. 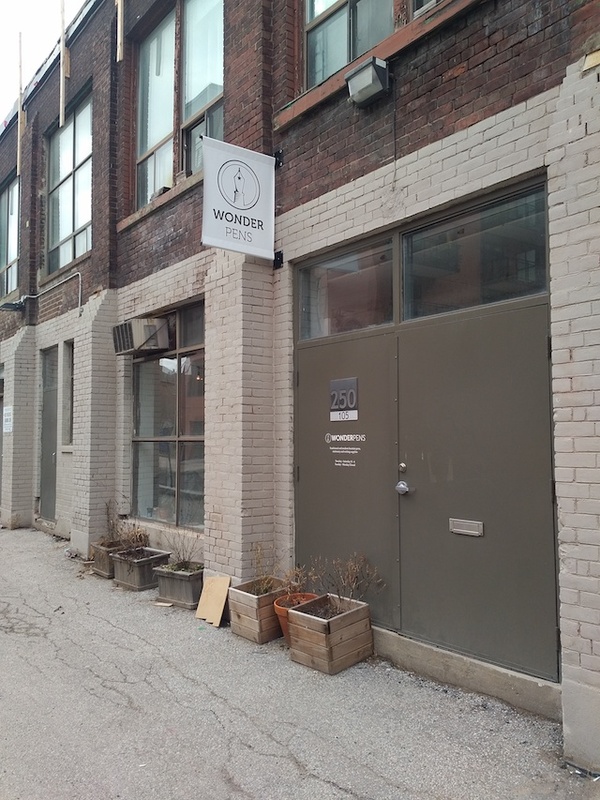 Wonder Pens is great, and worth a trip if you’re visiting Toronto. They’re conceptually the opposite of more traditional stores that store product in locked glass cases. You can try many fountain pens freely, and just being able to do this is already a difference that makes the products much more accessible. They have a formidable paper selection, with many products from European and Asian companies that I’ve previously only seen online. I’ll be featuring at least one item in a future post. Unfortunately, there wasn’t anything of much interest on the pencil front. So, if Wonder Pens is off the beaten path, I Have a Crush On You is in witness protection. It is located in a former warehouse and factory district that has largely been converted to tech offices. The store is on a side street of this area, one with no retail. Further, they are accessed via a wooden stairwell in a parking lot area. The store is unexpectedly good. I believe I’ve been to the major stationery stores in Vancouver, Toronto, Montreal (and Northern California), and I am pressed to name another retailer with so much original and creative material that comes from local sources, or from the store itself. There is a very high proportion of items in this store that you’ll find only there. And, it isn’t just a store. It is a gallery, and a working studio and production centre with live letterpress equipment in use. They have a lot of cards and paper items, notebooks, “hotel keys” with Toronto neighborhood names inscribed. Not so many writing implements. Even the non-local items struck me as really interesting. They had a necktie made of something called sonic fabric. I had just seen Evan Holm’s WaterTable at the San Jose Museum of Art, and I found it striking how cassette tape is being artistically explored in 2017, and not just as decoration, but the core sound reproduction properties. The store is definitely in tune with trends. I like both stores and want them to stay around! I hope they know what they’re doing with their chosen locations! Thanks for these interesting links — I’ve been looking for a source for Clairefontaine séyès, looseleaf. Interior photos would have been interesting. Sean, thanks for the comment. A.M., you’re not wrong, but if a shop wants to be hidden, that has to be considered.